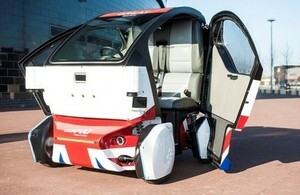 UK's Government launched a £20 million competitive fund for collaborative research and development into driverless vehicles, along with a code of practice for testing. The government wants bidders to put forward proposals in areas such as safety, reliability, how vehicles can communicate with each other and the environment around them and how driverless vehicles can help give an ageing population greater independence. Successful bidders will match fund projects with their own money. The £20 million competition announced today is part of the £100 million for research into intelligent mobility announced by the Chancellor in the Spring 2015 Budget.